Give your keys the perfect home in this funky house shape wall mounted key holder. Rustic, retro style that will add a quirky and fun look to your hallway. 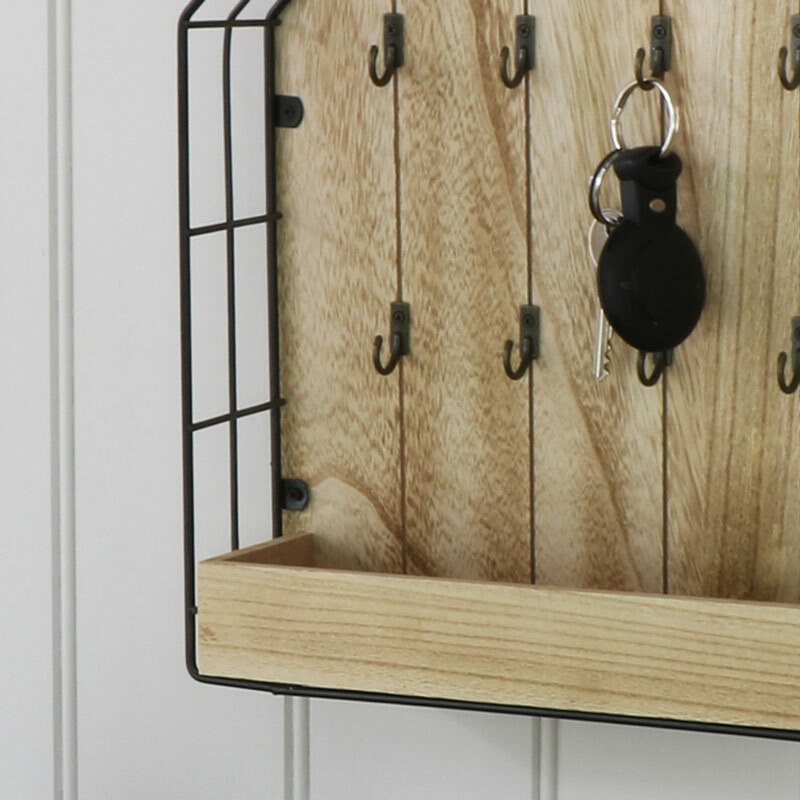 This key rack comes with 8 hooks that are just perfect for holding your door, car, shed and every other key you can think of and also comes with a handy shelf for more bits and bobs. A great look for anyone that loves the quirky and unusual with a little fun styling. This would also make a cool gift idea for the new home owner. Give your keys the perfect home in this funky house shape wall mounted key holder. Rustic, retro style that will add a quirky and fun look to your hallway. 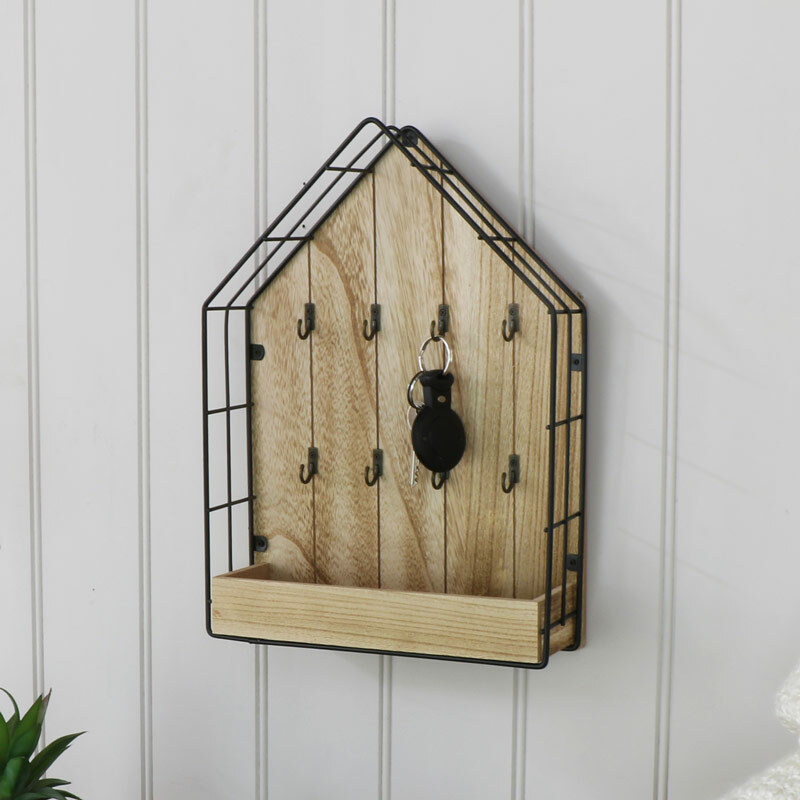 This key rack comes with 8 hooks that are just perfect for holding your door, car, shed and every other key you can think of and also comes with a handy shelf for more bits and bobs. A great look for anyone that loves the quirky and unusual with a little fun styling. This would also make a cool gift idea for the new home owner. Constructed with a wooden back and shelf held in a black wire metal frame. The rack is easily wall mounted with 2 d-ring hooks on the back.